There are six people in my family, aged from five to forty-one, and we all laughed hysterically over a story about crayons that had had enough. They were fed up. Overworked. Under-appreciated. Not to be ignored, the crayons decided it was time to draw the line. 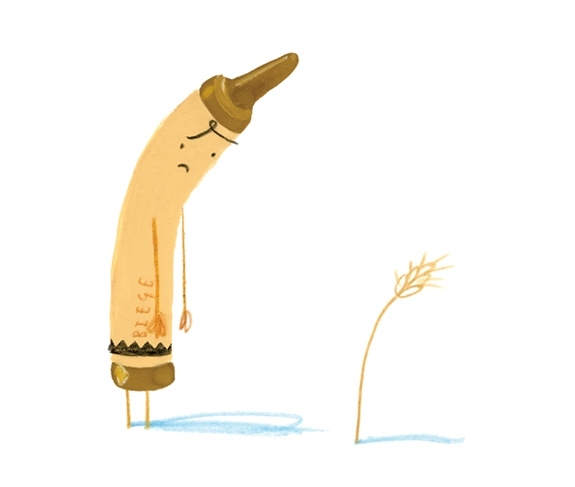 The Day the Crayons Quit, written by Drew Daywalt and illustrated by Oliver Jeffers, is the story of the trouble brewing in Duncan’s crayon box. 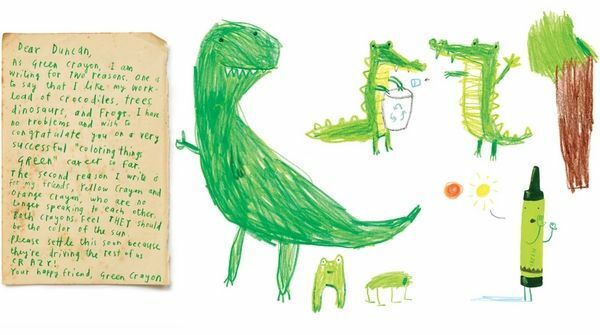 Duncan just wants to colour, but one day when he opens his box of crayons, all he finds is a bunch of letters. There’s a letter from each crayon and they all say the same thing – they quit! Fed up with the way that they are being used, the crayons have walked off the job. The red crayon is sick of having to work holidays – “I have to color all the Santas at Christmas and all the hearts on Valentine’s Day! I need a rest!” and the grey crayon is similarily feeling tired, on account of having to colour so many ‘big’ things – elephants, rhinos, hippos and humpback whales. 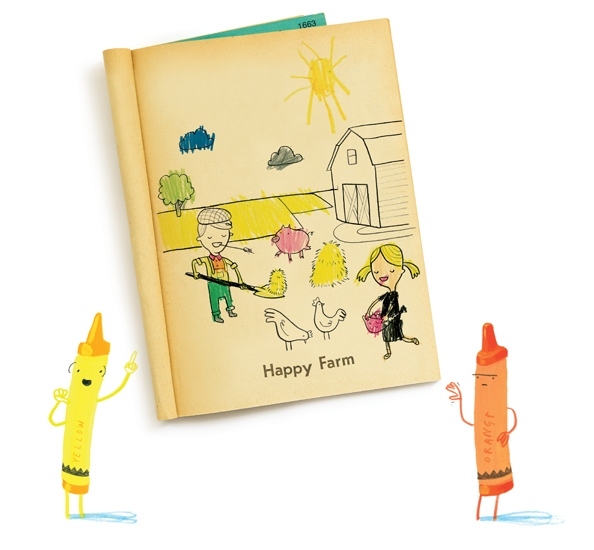 The yellow and orange crayon are in dispute over who should colour the sun and the pink crayon feels completely neglected. The conclusion to this story is brilliant – clever, imaginative and unexpected. I won’t give it away but be prepared to have kids poring over the penultimate page for quite some time. Needless to say, Jeffers’ illustrations complement Daywalt’s brilliantly funny letters to perfection. This is truly an author/illustrator match made in heaven. Each crayon has a distinct personality and their expressions add to the humour – the outraged purple crayon, the peevish black crayon and the embarrassed peach crayon. 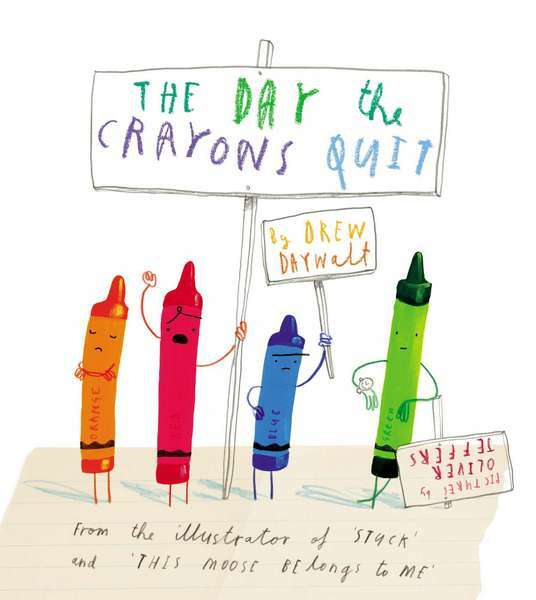 Find The Day the Crayons Quit at Book Depository, which delivers free to Australia.